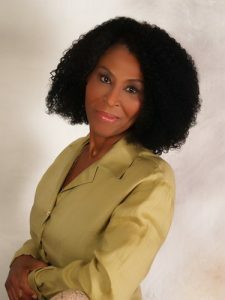 As the founder, CEO and Medical Director of Victory Rejuvenation Center, Inc., Dr. Genester Wilson-King combines her passion, training and expertise to help patients achieve optimum health and wellness. After building a highly-successful OB/GYN practice in greater Central Florida over the past 20 years, Dr. Wilson-King has spent the past 5 years becoming one of the area’s most knowledgeable age management physician. As an undergraduate of the prestigious Swarthmore College, Dr. Wilson-King then earned her medical degree from the decorated Thomas Jefferson Medical College then completing her internship and residency at the Thomas Jefferson University Hospital. Dr. Wilson-King began her distinguished medical service at the Fort Pierce (FL) Community Health Center, where she served the medically-underprivileged for 4 years. Although the workload of presiding over up to 70 baby deliveries per month, Dr. Wilson-King regards this period in her career as one of the most rewarding. In August of 1990, Dr. Wilson-King became a pioneer as she relocated to Lake County, Florida just north of Orlando. She at that time became the first female surgeon on staff at Florida Hospital Waterman and the first African-American physician in the Golden Triangle area of Lake County. Over the past 20 years, Wilson-King’s professional reputation continued to grow. Lauded by colleagues and patients alike, her quality of care, unparalleled professional expertise and her personal dedication to the lives of her patients have characterized her time in central Florida. It was Dr. Wilson-King’s depth of concern for patient health and wellness that led her to begin her extensive training in the specialty of age management. Recognizing the need to impact the quality and vitality of both women and men in an age of junk food, obesity, stress and corresponding chronic disease, she sought to gain the most current, relevant, research-based information available. As a result, Dr. Wilson-King has established a nation-wide network of colleagues that are among the foremost respected age management physicians. Her training included full completion in Mastery of Optimization of Hormone Therapy Replacement, an intense three part program for medical care professionals nationwide. The result is Dr. Wilson-King’s research-based, customized age-management programs that meet the need of every individual patient, programs that refuse to compromise on the total health and well-being of each person. Dr. Wilson-King maintains professional memberships in the National Medical Association, the Central Florida Medical Society and the Florida OB/GYN Society. She is a renowned speaker in the areas of PMS, perimenopause, menopause, bioidentical hormone therapy, midlife health and nutrition. She also is currently referenced as a referral source in Suzanne Somers’ latest book, “Knockout”.